From job opportunities to simply needing a change of scenery, there are numerous reasons why people decide on moving from NJ to Las Vegas. Regardless of your reasons for the move, there is no doubt having a professional moving company on your side can help ease the process, and Simonik Moving & Storage has been the professional provider of choice since 1977. 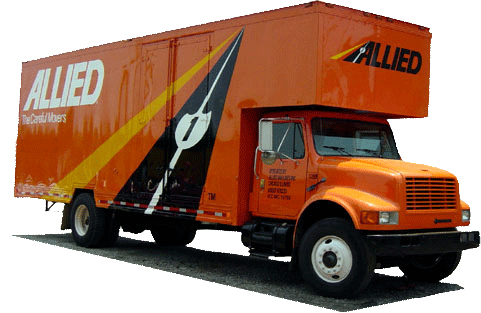 Our BBB-accredited company is proud to be an award-winning agent of Allied Van Lines, and this gives us the resources and nationwide network needed to easily handle any size residential move within the United States. Professional moving companies should be able to handle any size household move, and Simonik leads the industry with our expertly-trained moving crews. Starting with a free, in-home estimate, we will come to you and provide you with an accurate picture of your relocation costs. Throughout the process you can count on the services of a personal Relocation Coordinator—an experienced professional that will be available to answer any questions you have and help guide you through the transition of moving to Las Vegas from New Jersey. It can be helpful to have some extra time before your belongings arrive at your home after completing a move from New Jersey to Las Vegas, and Simonik offers flexible storage solutions to meet your needs. Whether you need short or long-term storage, we guarantee that your belongings will be carefully packed in long-distance shipping containers so they are kept safe and ready to go for as long as needed. Simonik proudly offers services throughout North and Central Jersey, including Hunterdon, Mercer, Middlesex, Monmouth, Morris and Somerset counties. Our team has received numerous industry accolades for our professional service, and we are a past recipient of the ‘Mover of the Year’ award from the New Jersey Warehousemen & Movers Association. We’re also a long-term member of the American Moving and Storage Association with ProMover status, and this affiliation allows us to stay up-to-date on any special requirements that go into planning a move from NJ to Las Vegas. Planning a long distance NJ to Las Vegas moving project is easier than ever when you have the experienced team at Simonik Moving & Storage on your side! To learn more about our professional moving and storage services, give us a call today. You can also request a free, no-obligation estimate by filling out our simple online quote form now.